Need a Home Generator Repair? It's Gotta be Reliable. Need to get your generator repaired ASAP? Or is it time for an annual tune-up? Either way, we can help. Our Atlanta electricians will listen to your needs and thoroughly inspect your generator to find the root of the problem, so we can get your generator up and running again. 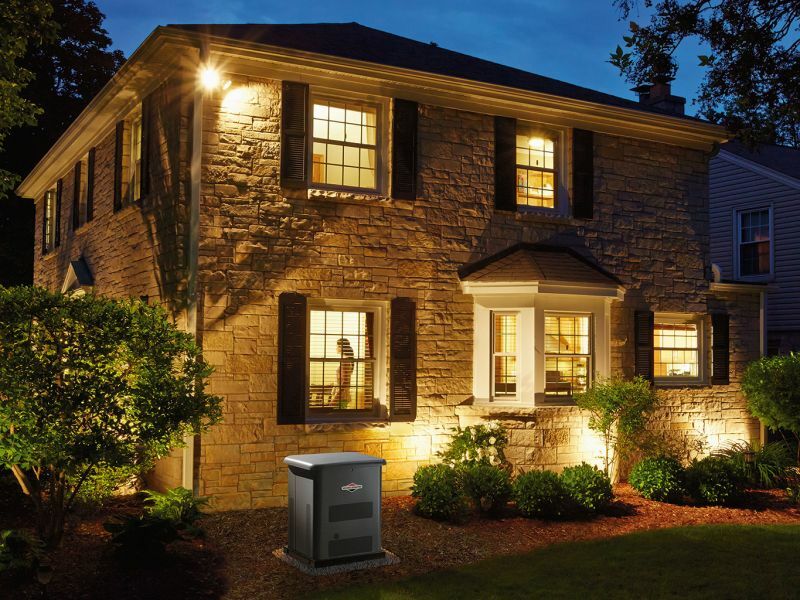 Deal: Whole home standby generator starting at $84/month. Lifetime repairs and maintenance included. The cost to repair your whole home generator will depend on which part needs to be repaired or replaced. Want free generator repairs for life? Contact us online or call us at 770.594.9969 to schedule an appointment. We'll call you to confirm your time and send you a confirmation email with a picture of your electrician, so you know who's coming to your home. Your electrician will diagnose with what’s wrong with your generator and give you multiple repair options, along with straightforward pricing for each. Then, we’ll repair your generator right—the first time around. If we don’t fix it, we’ll keep coming back until we do. Repairing your generator is only half of the job. If you’re not completely satisfied with our service, let us know in our follow-up survey. We’ll make it right. Don’t see your brand? We can probably still repair it. Call us at 770.594.9969 to find out if we can service your standby generator. Has worn electrical parts. If your generator has buttons that stick, frayed wires or other electrical components that look damaged, expect a repair in the near future. We recommend calling a pro if you see signs of damage, so they can repair your unit before the damage gets worse. Struggles to start up. This could mean an issue with the fuel line or electrical system, or could mean the battery is dead or dying. If your generator doesn’t start up after multiple tries, you should call a professional electrician to figure out the problem. Frequent starting and stopping. If your generator starts but can’t keep running for more than a few minutes, the problem could be a number of things, including electrical issues, a dying battery and blocked fuel lines. The problem could also be that your generator is overheating and shutting down as a safety precaution. Has a fuel or refrigerant leak. If you see fuel or refrigerant leaking from your generator, you’ll want to call for a repair ASAP. You might also notice frequent starting and stopping if your generator has a refrigerant leak. The best thing you can do for your whole home generator is get it serviced regularly. Routine maintenance will make sure all of the generator parts are clean, aligned and working properly. This will help your unit run better and prevents minor issues from turning into expensive repairs.